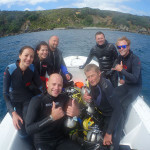 The 2m SE swell rolling in to the coast didn’t stop a keen bunch of divers heading out for a couple of great dives at Tawharanui Marine Reserve. 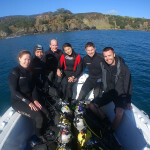 We tucked in behind the peninsula to find calm waters and relatively good vis’. 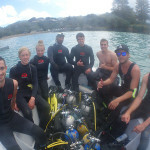 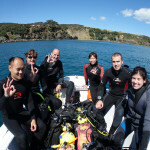 Thanks guys coming out for a great days diving guys !